I didn't really have much expectation or knowledge of John Erick Dowdle or his film No Escape going in to see it. In fact I thought the trailer looked to be incendiary given the current state of affairs. Don't get me wrong it is a very well made trailer that definitely had me interested in the film but forced me into a crisis of conscience given the content - that is a seemingly wholly evil nation of bloodthirsty savages baying for the blood of wholly innocent Americans. The shine of what is otherwise a very slick trailer was immediately replaced by the hope that No Escape was not an early indication that the mood in the air is manifesting itself in a return to the propagandist and exploitive, cynical style of 80s Hollywood cinema that had a regressive American foreign policy at his core, a policy that ultimately reasons that only the return of Rambo can save us from the great evil again. Thankfully, even if it is - I didn't really care as pretty quickly I was swept away in the gripping tale of a family's harrowing flight through a danger fraught city. Just to return to the trailer quickly - it is one of those scenarios where the film is pretty much exactly what is promised by the trailer – a schlocky, albeit very slick schlock (did I just invent a new genre? slick-schlock pronounced like Hip Hop), grindhouse style film for the double bill - midnight crowd. Possibly an indication of whether you will enjoy No Escape (which I did) is watching the trailer first - if it's effective to you, you'll probably like the film. But it's a bit of a Catch 22 - as the trailer gives away vital plot elements which are better left discovered during the viewing. If audience reaction is any indication of the immersive power of film – there was a guy in the audience that stood out as he broke out in laughter at the most unsettling and inappropriate moments, so much so that eventually I turned my head - to discover his awkward grimace, he wasn't laughing from humour but rather seemed to have a nervous tic. I was not invulnerable to the film's *whatever the opposite of charm is* - as the tale rolled I slowly sank deeper and deeper into my chair as No Escape turned out to be the most gripping and harrowing films I have seen in a cinema this year. I'm not kidding as evidenced by my left forearm became numb from the steel grip my wife was exerting on it as the suspension ratcheted upwards. 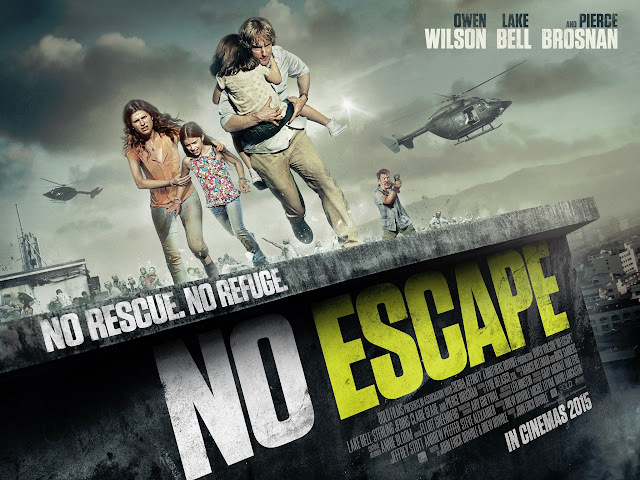 The premise of No Escape is the old fish out of water - out of the frying pan into the fire chase flic in a similar fashion to; The Warriors, Streets of Fire, The Gauntlet, Escape from New York, Die Hard but with a twist, rather than a bunch of tough delinquents, highly trained individuals with a particular set of skills, a wisecracking hard boiled cop or even an every man thrown into a situation that escalates out of control, as they are the target of an overwhelming force - in No Escape - a whole family is literally dragged through a hell that just keeps getting worse. This is exponentially amplified as No Escape taps into the unknown and strangeness of visiting a completely alien, country with a foreign language and mysterious cultural norms & practises or the “Fourth world” as Lake Bell's character Annie Dwyer refers to it. The last couple of years have not been kind to Jack played by every man Owen Wilson and the Dwyers, his wife Annie Dwyer competently played by Lake Bell and their two young girls Beeze (Claire Geare) and Lucy (Sterling Jerins) have had to relocate to an unnamed Asia-Pacific country, that is a lot like Thailand. A relocation of this nature throws up all sorts of insecurities and friction and the cracks are showing in the relationship between Annie and Jack. On top of this throw two young children who seem determined to put the chaos theory into practise as much as possible - into the mix and you have a fragile situation that Jack is trying to hold together and that's before the heat is turned up. From the get go it seems their trip seems to be under a black cloud fortunately on the flight over they befriend a lewd ex pat called Hammond, who is played by Pierce Brosnan - having fun with the role. Hammond “is in town for the girls” and able to ease them into their new surrounding to some degree but seems to know more than he is letting on and raises the suspicion that befriending him may add to their troubles at some point. 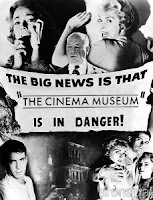 Very quickly all these woes seem to pale in comparison when the Dwyer's are rather abruptly and shockingly entangled in a socio-political situation that has reached boiling point and the city erupts in a savage explosion of civil rebellion and violence. The casting deserves a nod as when I hear the name Owen Wilson I assume I already know what to expect - but like his sometimes partner in crime Vincent Vaughn who is enjoying something of a comeback with his serious turn as existential Gangster Frank Semyon in Nic Pizzolatto's True Detective. Owen Wilson turns this on its head with his role as every man father Jack Dwyer who is thrown to the wolves but digs deep and won't give up no matter the odds. In this respect Owen Wilson brings a lot of charm and everyman appeal to his character. A special mention for Pierce Brosnan putting in another lewdly charming performance balancing on that fine line between playing against type and totally having tongue firmly in cheek harking back to his role in Julian Noble's The Matador. The whole film is a slickly put together exercise in suspense punctuated with action and Dowdle makes really good use of the interiors and outdoor locations to create an authentic experience, letting the film punch above it's weight. But as hard as you try - there is no denying the star of the film is undoubtedly the atmosphere of palpable dread that director John Erick Dowdle creates with his use of utilitarian camera work focussed on the personalities at the heart of the tale, tight editing using the actors as chess pieces on a board and a soundtrack from Marco Beltrami and Buck Sanders that blends Asian sounds with more tense beats as the suspense kicks in, and nods to John Carpenter's iconic tension fraught film scores. 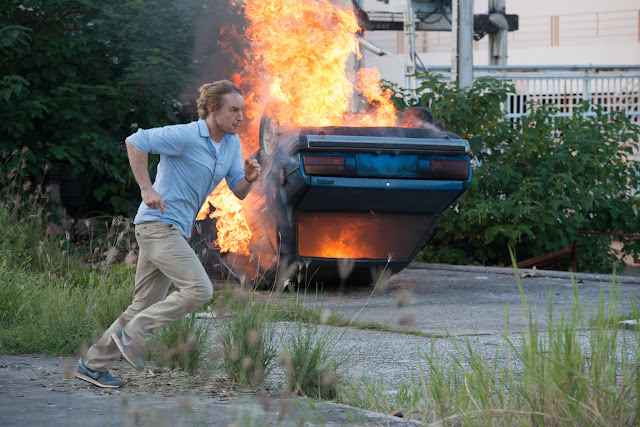 The style of his direction for No Escape is very much in the vein of 70s shock grindhouse cinema with similar highs and pitfalls but I could appreciate it for what it is a cracking piece of escapist cinema. As much as I tried I could not help thinking of others that have been in similar real situations and at every turn thinking what would I do in this particular bind? After looking into the works of John Erick Dowdle I discovered he is half of the writing directing duo The Brothers Dowdle, made of John Erick Dowdle and Drew Dowdle. Who have had a hand to some extent in a fair number of similar schlocky exploitation style films including the ghastly The Poughkeepsie Tapes, both Quarantine & Quarantine 2: Terminal as well as most recently As Above, So Below. I quite enjoyed Quarantine and although I struggled with the execution I loved the conceit of As Above, So Below. So I don't think there is much to my concerns of the socio-political content of No Escape, which is fleshed out to some degree in the film rather it seems the foreign unknown is seen as fertile ground for stories. It seems that John Erick Dowdle and collaboratively The Brothers Dowdle are carving out a name for themselves in the shock film genre and I'm looking forward to seeing what they come up with next. 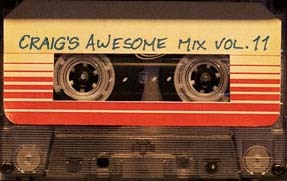 All in all although No Escape is somewhat limited by its schlock foundations it is a cracking little throwback to the Grindhouse genre that will for the most part have you on the edge of your seat as you root for the Dwyers to get to safety, apart from smiling at Pierce Brosnan jokes or laughing at his outright hamming it up.